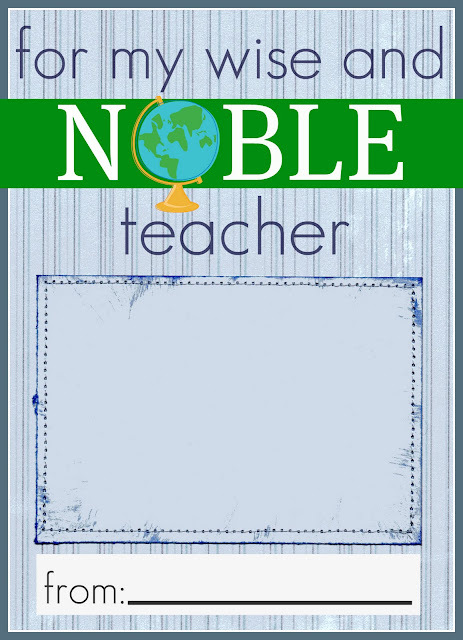 Last week I shared a few ideas and printables for Teacher Appreciation week. I promised to give you a couple more and that's what we're doing today. When I asked all of you about teacher gifts there were tons of you (teachers and not) who said teachers really want gift cards. I'm sure that receiving 437 mugs gets a little old. 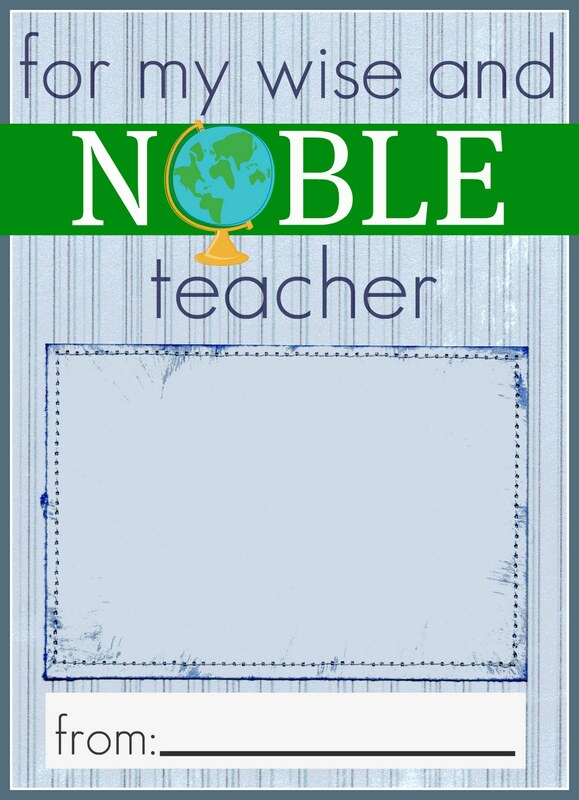 So today I created some printables for gift cards that I think any teacher would love. 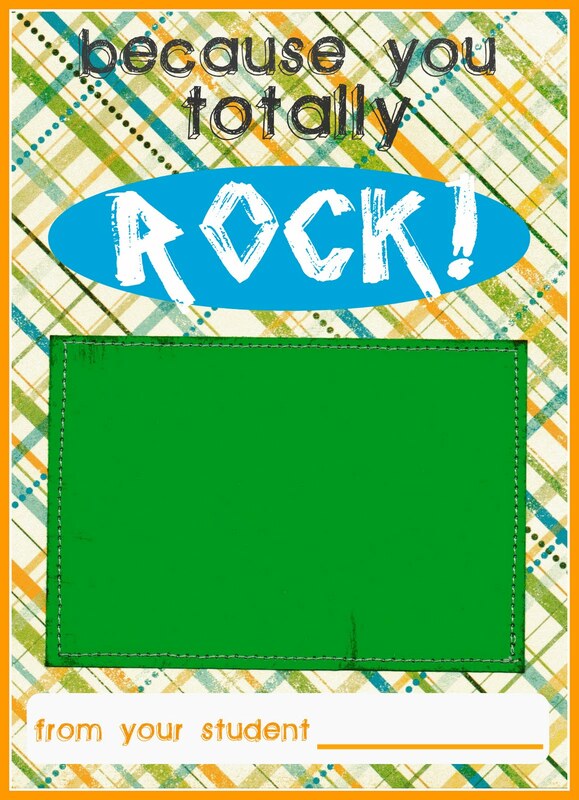 As with the other printables, they are meant to be printed as 5x7 photos. Be sure to click the picture first to enlarge it, then right click on it and select save. The gift card goes in the big rectangle. (You could use a glue dot for it.) It will frame it perfectly. Here's the first one. It's for an iTunes gift card. Who doesn't love new music? While it's not super teacher-related, teachers definitely still like to have fun. Doesn't everyone dance in the mirror with music blarring when no one's around? And there you have it! Print them off, slap on the gift card, and you're set. Enjoy! these are awesome! my baby boy is only 3 months old but i sure hope to be able to use these someday! i am sending them to friends now to show them off! thanks so much for sharing! AWESOME ideas! I just love the plais iTunes- super cool! As a 1st grade teacher, I LOVE LOVE LOVE this idea! Way to go! I love teachers, definitely appreciate them - but I don't remember there being so much teacher gift giving when I was a kid. Is it a newish thing? What should I expect when the Babby is school age in terms of gift obligations? These are pretty awesome, and right now there is a great sale, you can get 356 photos delivered to your house for 15 bucks. Here is a link with all the details. Love this! I used your printables last year after finding them on eighteen25 and this year made my own: what do you think?